PRIVATE KARATE LESSONS ARE NOT JUST FOR THE RICH & FAMOUS ! Many students who take advantage of private karate lessons purchase small “packs” of lessons at a discounted rate and use them throughout the year to make sure that their understanding of new material along with their old requirements and kihon (basics) is on firm footing. Often, these are students who attend an above average number of classes per week already, have a desire to excel in their martial arts training, and want to “lead the pack” in quality. This is similar to the Little League players who get extra training in the batting cage so that their skills on the field are maximized. Typically, these students schedule one or two private karate lessons in between promotions with an instructor with whom they enjoy working one-on-one. During these lessons material will be reviewed, with an emphasis on cleaning up techniques, advanced understanding (bunkai) of kata, generation of speed, power, and focus, and overall quality control. These lessons, when purchased in packages, are very affordable and will have a significant impact on the student’s confidence, stature, and quality. Students with disabilities who come to Millennium Martial Arts are among another group that reaps tremendous benefit from periodically scheduling private karate lessons. Depending on the individual nature of the child’s issues, the private lessons can supplement regular classes by providing a highly focused period of time to review the curriculum requirements. This environment is less distracting and all of the instructor’s attention is on just one student. Concepts that may be difficult for students to grasp in a larger class can be addressed in a manner that is very specific to their learning style – something that can easily be accomplished in the more quiet setting of a private lesson. Like educators in an academic setting, we recognize and respect that many students benefit from instruction taught via multi-modalities – visual, auditory, and tactile. Unique mnemonic devices, verbal or visual cues that are developed, or uncovered, during these lessons can often be the difference between confusion and clarity. Private lessons can provide these students with a boost of confidence in addition to the overall improvement of their skills. At Millennium Martial Arts we take great pride in our success with integrating children with disabilities into our regularly scheduled classes and curriculum. Occasionally, however, a parent will bring a child to us that would not thrive in that environment, but would certainly benefit with a modified curriculum and training/drill regimen. These parents express concerns that their child has difficulty following verbal instruction, or has difficulty remembering and recalling information, just needs more physical activity, or simply will not thrive or succeed in a group setting. In cases such as these, we will work with the parent to learn as much about the child as possible…what has worked in the past, what has not, their temperament, patience and attention levels, and strive to develop a private lesson curriculum that will be beneficial. 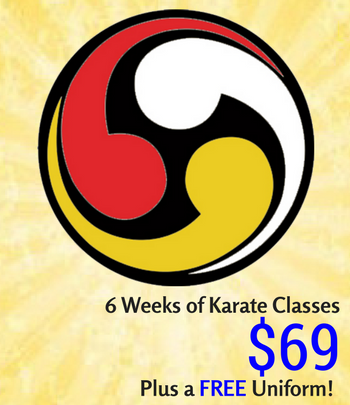 These lessons can be scheduled on a regular basis to provide the important repetitive learning often associated with karate as well as provide a routine that is often beneficial to children with special needs. Adults who are very serious about their martial arts training, and especially those that have come from other styles of Karate, Kung Fu, Tae Kwon Do, et. al. often find that regularly scheduled (weekly, monthly, etc.) private karate lessons can play a significant role in furthering their skills beyond what they can achieve in class and through regular independent practice. Additionally, when already experienced in another martial art, nuances learned and committed to muscle memory often need to be modified for the different mechanics of Ryukyu Kempo. As the student progresses through their Ryukyu Kempo regimen, these nuances and techniques become as ingrained as the older ones and skills learned in previous styles are maintained as “tools in the toolbox” and are often drawn upon as the Martial Artist or “Karateka” matures. 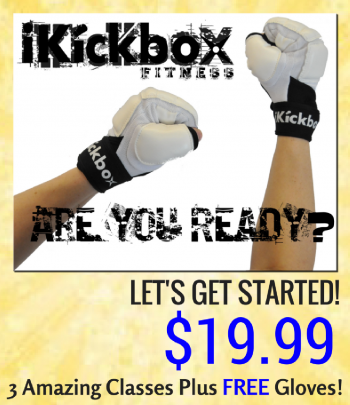 For about the same as the cost of a standard membership, a student with limited availability can schedule a weekly private lesson and supplement that training with practice and drills that can be done anywhere including home, hotels, gyms, or any space that affords them enough room to take a few short steps. Instructors at Millennium Martial Arts can guide the student on how to practice in limited spaces. The focus that a committed student experiences in a private lesson, when combined with routine practice can yield excellent results. Call for more information on Semi-Private Lessons, Group Lessons, Corporate Workshops, and Women’s Self Defense Courses.